While you can’t change history, you can indeed change the way you learn it. In today’s world of Boomer Tours a smaller focus is often better. In the past we would spend two full days totally immersed in the history of the Battle. Today, we have added Theater, Railroad and Riverboat Tours. We’ve not changed History but we do have a history trip with wider appeal – and better service – than we sold last year. Come to Gettysburg Again. Let us show you a better time. Whatever you want, U S Tours will be happy to structure tour prices to match your needs. Just let us know! Arrive in Gettysburg, PA. Check into either the Wyndham Gettysburg or the Courtyard by Marriott Gettsyburg for a three night stay. Tonight you will enjoy dinner at the Dobbin House Tavern, Gettysburg PA’s Oldest and Most Historic Home. Following dinner, you are in for a Presidential Evening with visit from a special guest. You can choose from Abraham Lincoln, General & Mrs. Ulysses S Grant or Mamie Eisenhower. A visit with General and Mrs. Ulysses S Grant can cover all periods of their lives: Prairie, the Civil War, the Presidency, the trip around the world, the final years and Mount McGregor. Your Gettysburg sightseeing begins this morning at the Gateway Theater where you see the movie “Fields of Freedom.” You will share the excitement of two young Confederate soldiers as they prepare for battle, as well as their emotions when the realities of war arrive. Next, you will visit the Gettysburg National Military Park Visitors Center. It has an extensive museum about Gettysburg and the Civil War and the fully restored Gettysburg Cyclorama that dramatically depicts “Pickett’s Charge.” You will also see the film “A New Birth of Freedom,” narrated by award-winning actor Morgan Freeman, which focuses on the significance of Gettysburg. Then you tour of the Gettysburg Battlefield with a local guide. You will see all the monuments, cannons, dedicated to the Union and Confederate soldiers who fought there. You will see where the battle started, follow its progression and listen to your narrator as he brings the battle to its inevitable closing. Following your tour, you will visit the Gettysburg Heritage Center, formerly the American Civil War Wax Museum. It focuses on the town of Gettysburg and its heritage – before, during and after the battle. Utilizing various historical documents, artifacts, interactive displays and 3-D photography, you will learn about ordinary people doing extraordinary things at a difficult time in our nation’s history. Next, you will visit Gettyburg’s newest attraction, the Gettyburg Seminary Ridge Museum. Located on the campus of the Lutheran Theological Seminary at Gettysburg, Schmucker Hall, which houses the museum, was witness to the first day’s battle action and then quickly was transformed into a field hospital for the care of the wounded from both north and south. Four floors of state-or-the-art interactive exhibits–Voices of Duty and Devotion–will inspire people of all ages with in-depth looks topics not emphasized in any other Gettysburg museum: the first day of the Battle of Gettysburg, care of the wounded and faith and freedom. Additionally, the museum building features the famous cupola used by Gen. Buford during the battle of Gettysburg. This morning steam into history with a ride on the Northern Central Railway located in New Freedom, PA. The train is a faithful replica of the Civil War steam locomotive that carried Abraham Lincoln to deliver his now famous Gettysburg Address. These same tracks carried Lincoln’s funeral train two years later. Ride the rails and relive Civil War and railroad history in York County. Next, you will head to Harrisburg, PA for a sightseeing cruise on the Pride of the Susquehanna Riverboat. You will learn the history of the area as you enjoy the beautiful Harrisburg Skyline and the majestic Susquehanna River! 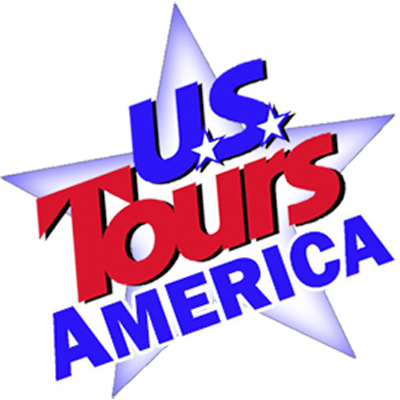 U.S. Tours specializes in customized, creative, and exiting tours for groups of 20 or more passengers!